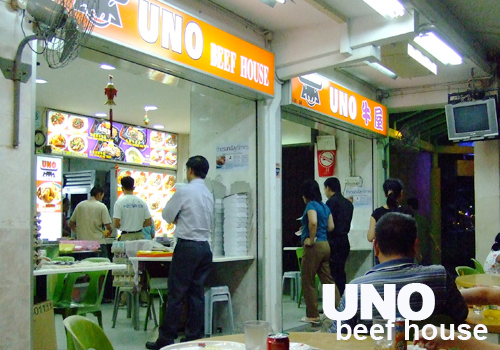 A great stall located in Toa Payoh offering tasty western food at reasonable prices. 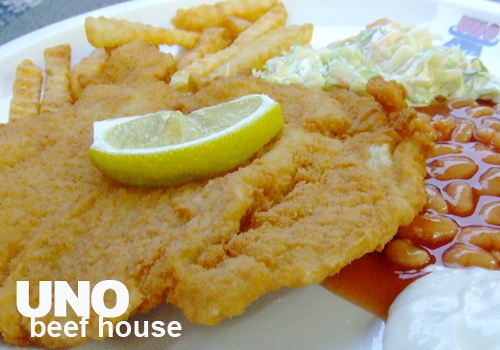 Great variety of dishes to choose from. Signature dishes would have to be the nice piece of sirloin steak going for only 10 dollars, complete with mashed potato or fries and coleslaw. I credit this place for their cheap Western cuisine and relatively decent quality. I was expecting a lot from this place when I first heard about it on Yebber, and have been bugging friends to accompany me there. But when I was finally there, my expectation dropped a level as I seldom thought highly of food at neighbourhood coffee shops. I'm rather impressed by the variety of food provided, and the relatively low prices they're able to charge despite the soaring price levels. As I was there rather late (8.30pm), the crowd probably had dispersed already and I didn't have to wait long for my food. Fish and Chips was not bad. The fish was rather thin however, thus making the chewing sensation a little less satisfying. But I really liked how it was fried till it was crispy. I personally felt that the coleslaw had a slightly bitter after-taste and did not like the taste of onions in it. As for their soup, it's actually Campbell soup, which I feel isn't any original at all. I left the place feeling satisfied with the price I paid and the food I had, but with all the hooha, I must say the place is a tad over-rated. Not when soups are instant canned-soup ): Nonetheless, I'd say it's a good place for budget western food, minus the ambience. With the strong review here. 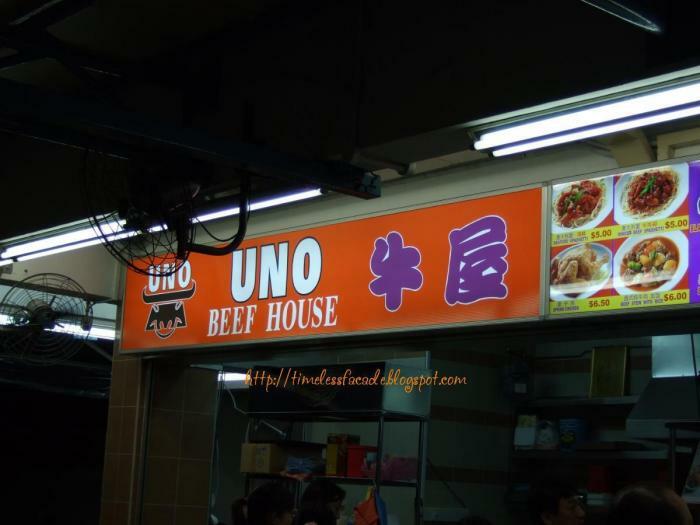 I decided to try UNO Beef House (we live in TPY, so, why not?) and I found it's great! We study from previous review that it would be a little bit crowded in the evening. So, we went there earlier (5pm). 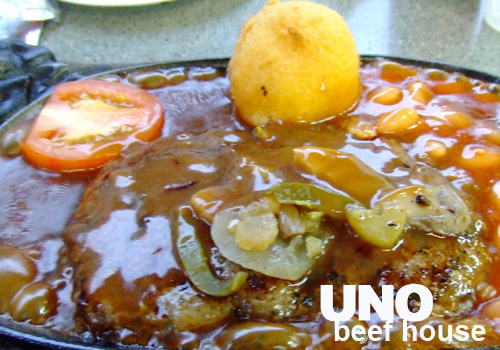 We ordered the signature dish "sirloin steak" (I took well-done, my friend had medium one) and yes! !...It's soooo nice. 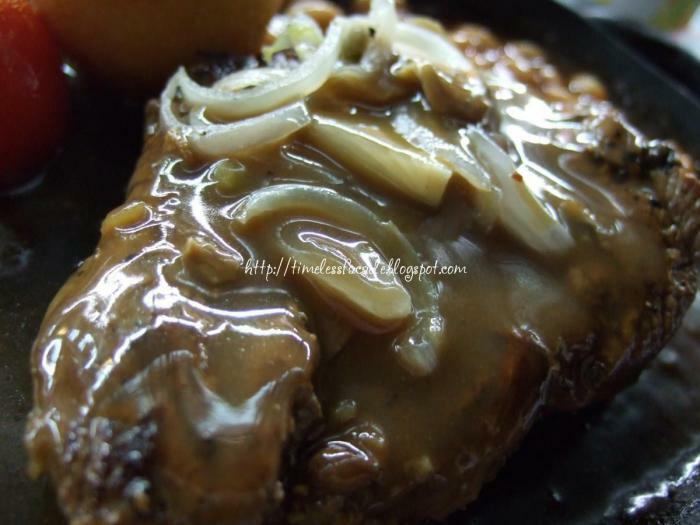 The gravy and taste of beef are really nice. I recommend you to have it with beer or coke. I ask my friend how much do you want to rate? He said 7.5/10. For me, I gave them 7/10 (I already compared with Kobe Steak in Japan). Anyway, for Singapore, I think this is one of the best steak shop. Don't miss it! wow really that good wor.. :) thanks for the add-on to good reviews for this place! thanks for warm welcome message! I'm craving for UNO! Got to go back for more soon.